The discovery of a quarry full of Walkers has rocked the Group as well as the people of Alexandria. 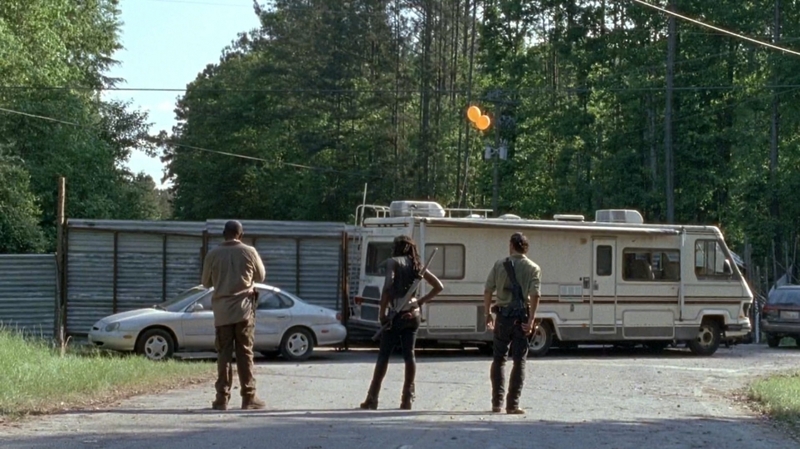 Rick has put a risky plan into motion. 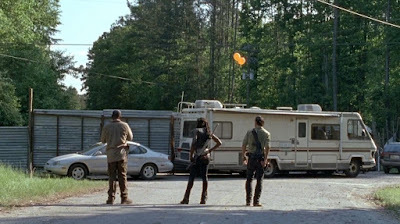 He intends to release the Walkers and lead them away from the community using strategically placed walls, as well as balloons and flare guns to distract them. The entire community participates and walls are erected to guide the Mega Herd. Morgan has been accepted into Alexandria, although he he has been under observation to confirm his loyalty. However, once the discovery of the Walkers is made, Morgan leaps into action to assist his new community. 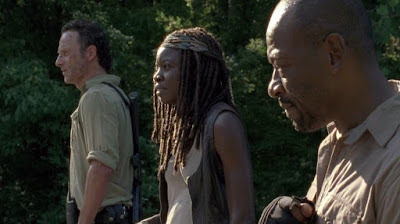 Morgan stands guard with Michonne and Rick and while they wait for the oncoming horde of Walkers, he questions Michonne on which food items she took from his stronghold during their earlier visit. 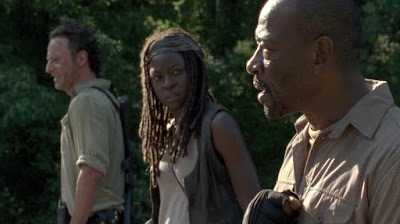 Michonne denies taking one of his Peanut Butter Protein Bars. Nevertheless, Morgan doubts her answer when he mentions that he was certain that he had one remaining peanut butter bar. Michonne again denies taking any of his food but Rick hears the entire exchange with amusement. The success of the plan depends upon many factors but the skill and dedication of the Group is never in doubt. This week we present Morgan's Peanut Butter Bars in honor of Morgan Jones and his long journey. 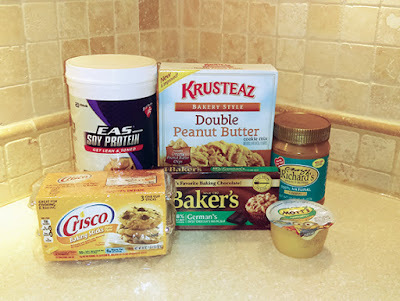 Peanut Butter cookie mix can be transformed into a nutritious and protein rich health bar with the addition of only a few more ingredients. 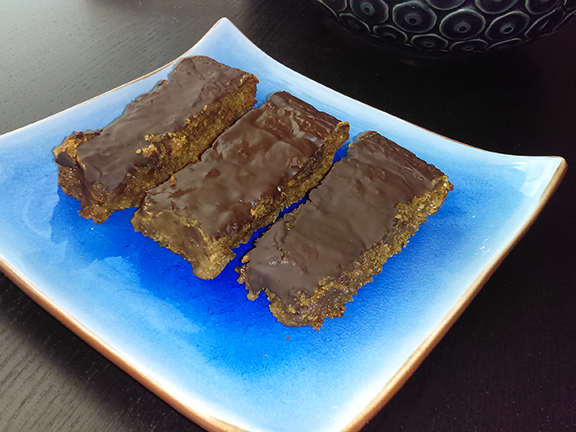 Make these Protein Bars for your Group today. And when the dead rise; always count your peanut butter bars. Preheat oven to 375°. Grease a 9" x 9" or 9" x 13" baking pan and set aside. In a large mixing bowl, combine peanut butter cookie mix, applesauce, shortening and peanut butter. Blend well. Then stir in 1 scoop of the protein mix (whatever brand you have) and mix well. The mixture should be rather stiff, much like the consistency of thick mashed potatoes. If needed, stir in the second scoop of protein powder, a little at a time, until the desired consistency is reached. You want the mixture to be spreadable but not pourable. Depending on the brand of cookie mix selected, you may need to even add more than two scoops of protein powder. No worries; all brands of baking mixes are forgiving and you'll still end up with a great protein bar. Spread into prepared pan and bake according to the package directions for Bar Cookies. Remove from oven and sprinkle with grated chocolate. Allow to sit until chocolate is melted and then spread with a spatula. Allow bars to cool to room temperature and slice into bars. Store in an airtight container (away from Michonne) and eat within 1 week.